Looking Beyond Read Tuesday..? Want More? Read Tuesday—a Black Friday type of event just for book lovers on December 9, 2014—is almost here. This is the second annual Read Tuesday, with several authors and books participating. It’s a great deal for readers and gift-givers, it’s free exposure for authors, and more than that, it’s the spirit of spreading the joy of reading and improving literacy. But as an annual event, when it’s over, it’s forgotten until the next year. We have some nice momentum going into the event. It would be nice to maintain this and build from it next year, rather than rebuilding when the next fourth quarter kicks in. I still want the second Tuesday in December to be the big event. I’d like to add to in a couple of ways. This would help readers and gift-givers find savings throughout the year, and create more opportunities for authors to receive exposure. It would help to build the Read Tuesday brand (but Read Tuesday doesn’t sell products or services—it’s just an event, like Black Friday) and to keep our following active. After all, reading isn’t an annual event. It’s something everyone should engage in regularly. Write Wednesday. We could make this a biannual event. Read Tuesday falls in the holiday shopping season. Write Wednesday would complement this at another time of the year. I would like Write Wednesday to be somewhat different from Read Tuesday, but perhaps similar in many ways. Smaller, monthly Read Tuesday events. These wouldn’t be as big as Read Tuesday, and would be limited to Kindle (I can create one catalog per month pretty readily, but five per month is much more than I can handle—especially, as Read Tuesday is free). These would be specialized to a particular topic each month. For Write Wednesday, I would like suggestions for the possible timing of the event. If you have a reason behind your suggestion, even better. For smaller monthly Read Tuesdays, for one I need to think of a name to distinguish it from the main Read Tuesday event. I’m planning the 2nd Tuesday of every month, except for the months of Write Wednesday and the main Read Tuesday. Topics for the smaller Read Tuesdays would be specialized. For example, the January Read Tuesday would feature books that somehow tie into New Year’s resolutions. There is much room for authors to be creative. Authors would use the description field to explain how their book relates to or somehow aids in New Year’s resolutions. I bet you can explain how a mystery does this, and, if so, that works. For February, the book would have a romantic element, which includes not only romance novels, but most fictional books have some romantic element. Each month would have a different theme; creative authors will find a way to describe how their book fits the theme. Would you prefer just the main Read Tuesday? What do you think of these ideas? Any suggestions? 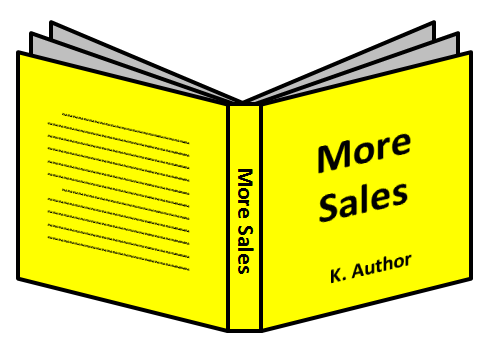 (4) Here is a great gift option: Buy-the-print-book-get-the-Kindle-free offers. Don’t you wish you could receive a free book for yourself every time you gave one as a gift? Well, here’s your chance! (5) How about free print books? A few of these are contests, like Goodreads giveaways. Others are authors who have a limited number of free review copies to give away. I think any opportunity for publicity is worth pursuing, and as an author I appreciate your hard work on our behalf so much! 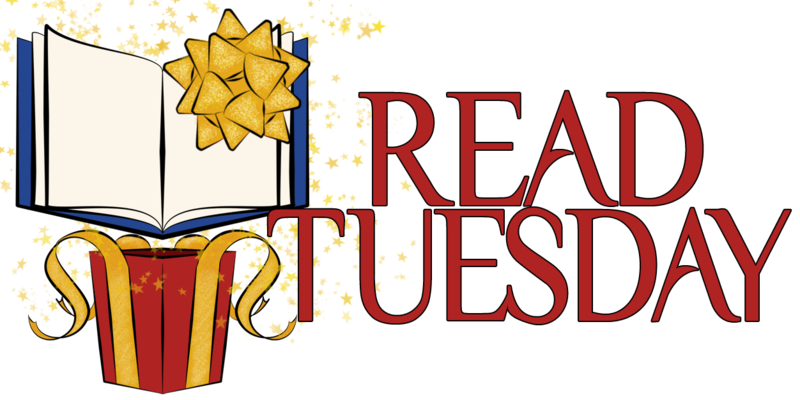 I think one Read Tuesday/month would be more effective than every Tuesday, and centering it around a different genre each time is a great idea. This way a smaller group of authors would get a bigger push when it was their genre’s turn, rather than clumping us all together each month. Just my 2 cents! Thanks for all the time and energy you put into this event, Chris. How about Read Wednesday once around April and then again in September? Im not sure exactly what you mean by Write Wednesday… but we could hold it in June, 6 months before Decembers Read Tuesday, and right before the second big push on book sales, the July holiday beach read. I like your monthly genre specific idea. You’re going to be sooooo busy!!! More often could work to keep momentum. However, the big noise that people will accept for an annual event might be a little off-putting for a frequent event, so might be worth testing the waters with something less than monthly. I think I could do the smaller events with less noise from my end. Say, 4 posts on the blog (which feed to FB/TW): one to announce it, one to post the deadline, one for the catalog, one on the day itself. I make many more posts for RT, as it’s a bigger event, and also because so much time has lapsed since the previous one. Other noise may be limited to a particular market any given month. For example, February would focus on romance, while January would only relate to self-help, inspirational, diet, and exercise, so various genres would still see long breaks in activity (in terms of reblogs, retweets, etc.). Though things don’t always pan out as I predict. Maybe it would still be much noisier than I realize. I might try it in January and February. Being new, this would give me valuable feedback. After that, I could limit the event to less than monthly (unless it proves to be successful enough to warrant more). I agree that niche specific events will reduce the number of people promoting an event, especially once the schedule has bedded in. However, my gut feeling is that the first few events will be boosted by people outside that specific niche just because they support the overall idea. So I would go the other way: have a few spaced out and then move to more regular. That way, the people who promote the change from once a year to several times a year will get the message out, but it won’t be several months of it in a row. That’s another good point. I’ll have to think about that. Fortunately, I have some more time to see if I can think of better ideas. 🙂 Thank you for your feedback. Thank you for your feedback. There are several good times or themes to choose from. I like the idea of more events, but of course it could lose interest if it was too regular. Perhaps something quarterly? Something about holiday reading around May perhaps? Thank you for including your feedback. Yes, monthly may be a bit much. I’m now leaning toward waiting 2-3 months, try one of these smaller events, and see how it goes.